Earthen Me started with an objective of making this world a better, greener, sustainable etc. 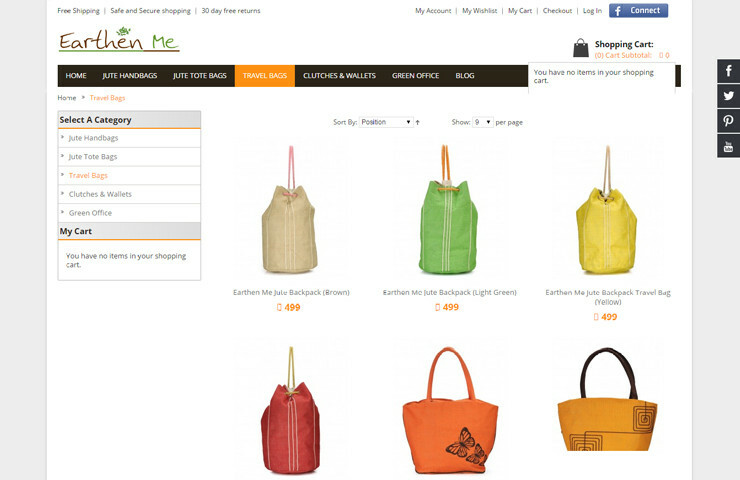 Earthen Me started with an objective of making this world a better, greener, sustainable place to be with its eco-friendly lifestyle products ranging from bags, stationary, home furnishing and apparels. Today, hundreds of Indians are going green with Earthen Me every day. 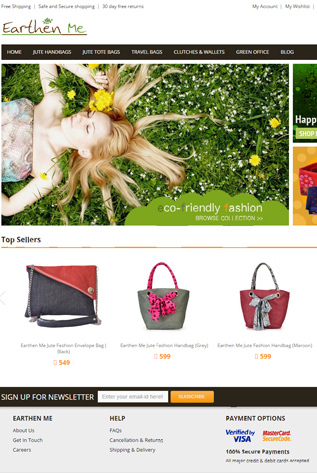 Axis Web Art was hired to design and develop their online store. 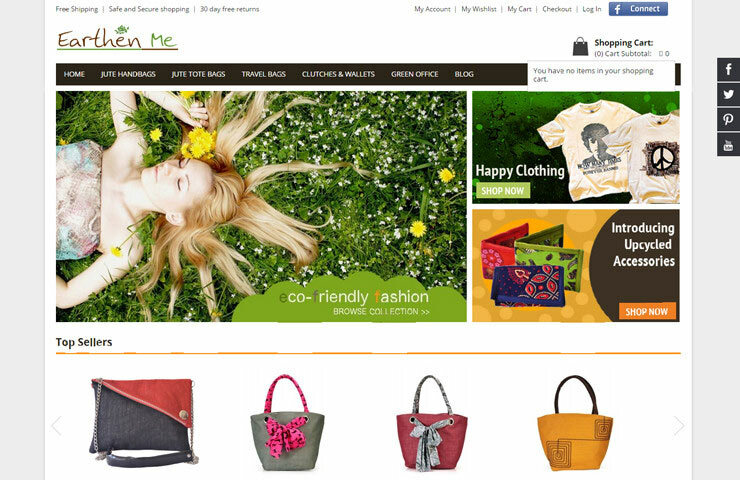 Our magento development team developed the website with magento community edition. 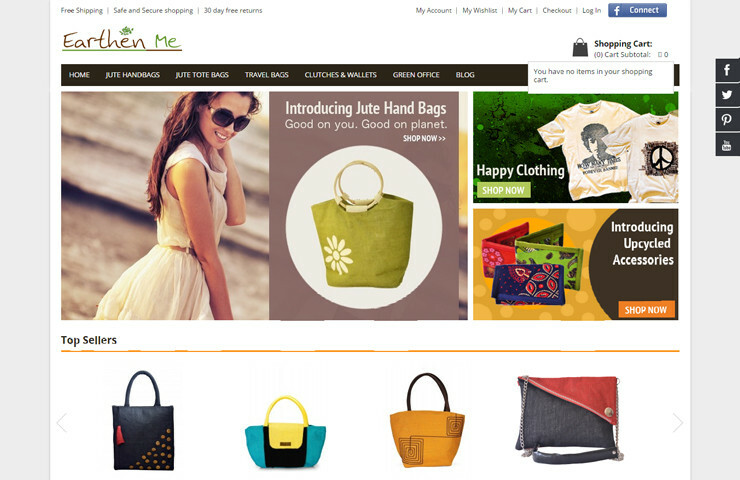 Primary object of the Earthem Me project was to develop an Ecommerce platform so they can easily sell their quique products online. Consulting on selecting the appropriate Ecommerce platform based on the client requirements and future business growth. 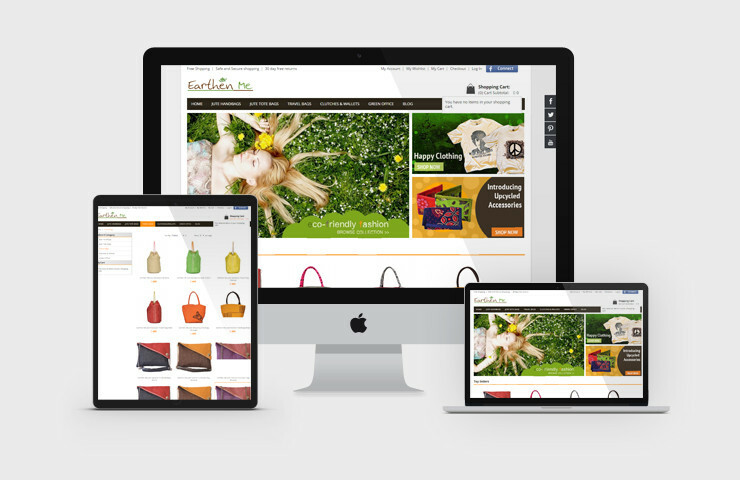 With using all our expertise and experience team at Axis Web Art was able to compete the project in specified time frame and as a result we produced a solid online platform for Earthen Me where customers can easily place order online.